The Youth Legacy Foundation is a free resource that shares information from across the community, specific to youth with disabilities. We want to get the word out to unify resources for youth. 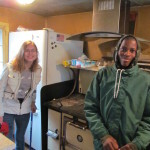 Click here for our full newsletter… Please feel free to send us information to share by emailing bridget@youthlegacyfoundation.org or calling 612-293-7008. Enjoy! Stay in the Loop With YLF! Check Out Our Public Service Announcement (PSA) Video!! The Youth Legacy Foundation engages youth with disabilities in humanitarian, charitable, and service activities to empower them to lead exemplary lives and create their legacies in the community while making a difference and changing the world. BridgetSilja on E-Newsletter 6/5/15: ReelAbilities Film Festival June 11-14 – It’s Going to be AMAZING!! BridgetSilja on YLF’s Exciting Updates! 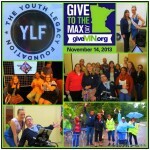 BridgetSilja on Support YLF on Give to the Max Day! The Youth Legacy Foundation © 2019. All Rights Reserved.